Please Read Our Policy Before Booking a Room. Thank You. Thank you for choosing to stay at Casa Hudson. Please carefully read our terms and conditions below. - Price includes fresh linens, towels, wifi and a light continental breakfast which is coffee, tea, yogurt, and fresh fruit. - Please contact us if you are traveling with small children under the age of 10. - No Smoking anywhere in the villa or near an open window. - Reservations will not be confirmed until a 50% deposit of the full room(s) rental rate is received. The balance is due one day prior to arrival date. - There is a minimum stay depending on the season or holiday. - Rates are applicable to single or double occupancy and subject to change without notice. - No refunds will be give if cancelled 48 hours before arrival day. - A $25.00 processing fee will be charged on each cancellation. Deposits are non-refundable on cancellations made less than 2 weeks before arrival, unless the reservation can be completely filled. The deposit minus a $25.00 fee will be funded. Rent the entire villa for reunions, bridal weekends, or just a getaway with friends and family. 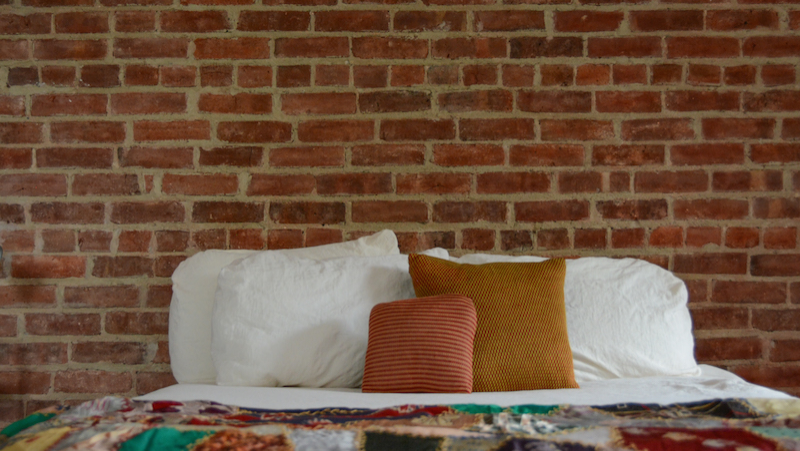 Witness a glorious sunrise from your bed or on the Juliet Balcony overlooking the Hudson River in the Blauvelt Room. 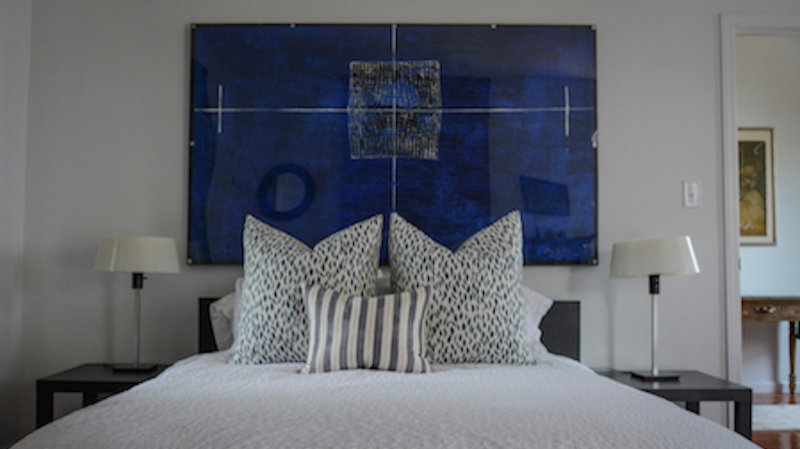 Named after S.C. Blauvlet, Casa Hudson's owner in the 1890's, the Blauvelt Room is curated in shades of blue, engaging the the tranquility of the river. Original artwork by Alice Jane Bryant and Nelson Diaz adorn the walls. The textiles are designed by Rebecca Atwood Designs out of Brooklyn. 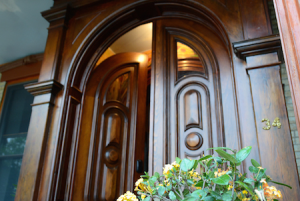 "Casa Hudson will exceed any traveler's expectations. I've stayed at a variety of inns/bed and breakfasts, and Casa Hudson is my favorite by a wide margin. 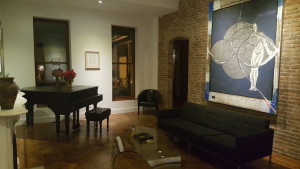 The house is meticulously restored, beautifully appointed, and full of cool and unusual pieces and original works of art. " 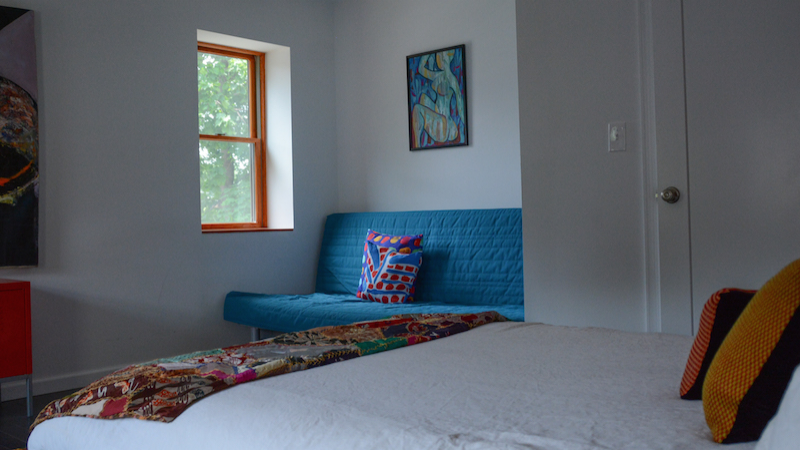 The HEP Room overlooks the garden, has a picturesque view of Hi-Tor Mountain and Edward Hopper's 'House by the Railroad Tracks'. Take a long relaxing bubble bath in the claw foot tub after a day of sight seeing or hiking. Casa Hudson was a preschool from 1970 - 2010 called H.E.P, Haverstraw Ecumenical Project. 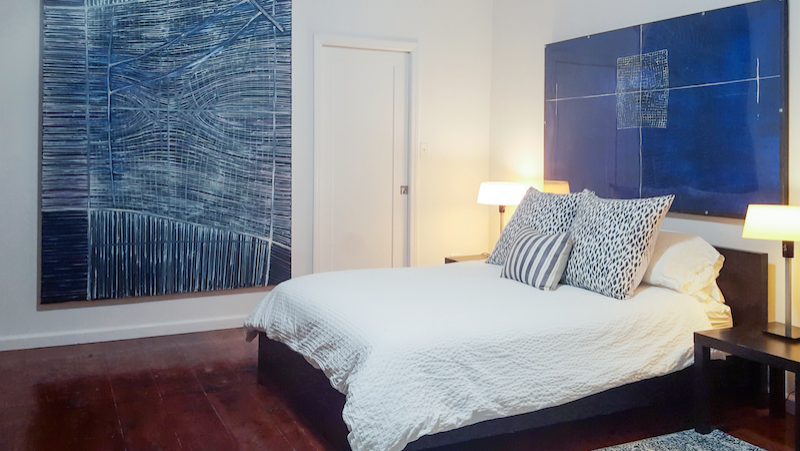 Its interior reflects its history with its whimsical colors, paintings, and the platform bed is an old locker from this era. The futon sleeps two additional persons. Original artwork by Nelson Diaz, Andrea Caccuro and Herta Silva. "The pictures do not do justice to how beautiful this place is! If you are ever in this area, I would choose this place without a second thought. You wont regret it." 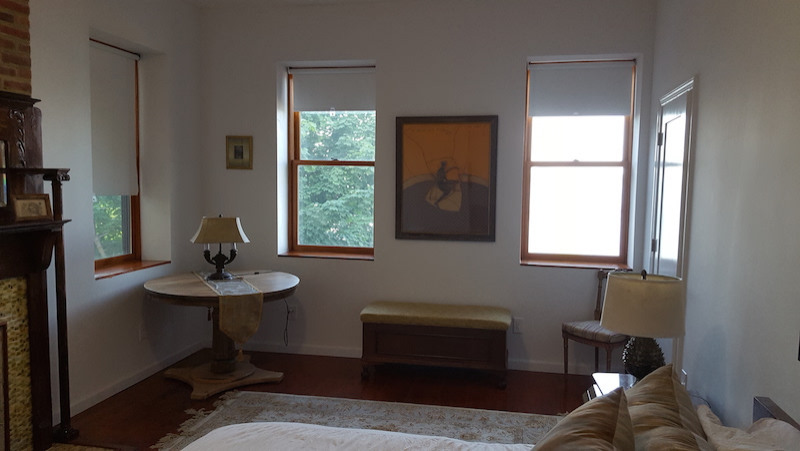 Roma Room has an unobstructive view of the majestic Hudson River. It's full name is the Knights of Columbus Room, but it was later nicknamed the Roma Room. The Knights of Columbus was headquartered in the villa from 1930 - 1970. 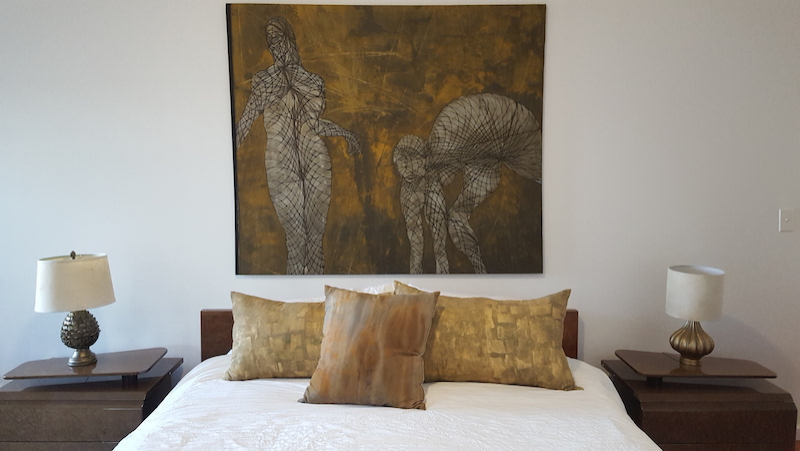 The Roma Room reflects the golden sun and his light and how it dances on the Hudson River Original artwork by Nelson Diaz and Kay Radcliff. The textiles are created by Kay Radcliff. Hello, Unfortunately we have no rooms available, please pick alternative dates as we would love to host you.